What about Auto Service & Car Repair in Alton after the Sale? 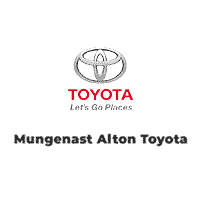 At Mungenast Alton Toyota we strive to maintain long-lasting relationships even after you drive off our lot, which is why we’ve coined the phrase “Mungenast makes the Difference.” We care about our customers before, during, and especially after the sale. As a part of our Automotive Family, you’ll be able to join our Mungenast Difference Service Rewards Club, which will give our appreciated customers the opportunity to earn valuable discounts after every purchase that can be put towards your next visit. We believe it makes it worth the drive to visit our beautiful facility and our professional team for car service and auto repair in Alton here at our Toyota dealership near Godfrey. We can provide you with all of your needs for auto service in Alton including certified Toyota car parts for those customers that enjoy performing repairs at home! Of the new Toyota and used car dealerships in Alton, we believe we make a difference based on our customer satisfaction scores and loyal clientele. We are a full service dealership offering additional amenities such as our Toyota-Certified Master Technicians, Toyota Rental Cars, a state-of-the-art lounge, shuttles and many local attractions surely to fit your needs. Be sure to explore our collision center services, full vehicle details, pick-up and drop-off service and much, much more. To learn more about our dealership, visit us by following our step-by-step directions or fill out our contact form and we’ll gladly assist you. Join our Mungenast Difference Service Rewards Club which will give our appreciated customers the opportunity to earn valuable discounts after every purchase that can be put towards your next visit.